Win every time you fire with Olympic’s Champ glass kiln! The Champ has a lid element for fusing and slumping and a tall 18" stand for easy access. The Bartlett Instruments 3 Key electronic controller provides the kiln operator to enter data by scrolling through the up and down arrows for the desired ramp/hold programming. 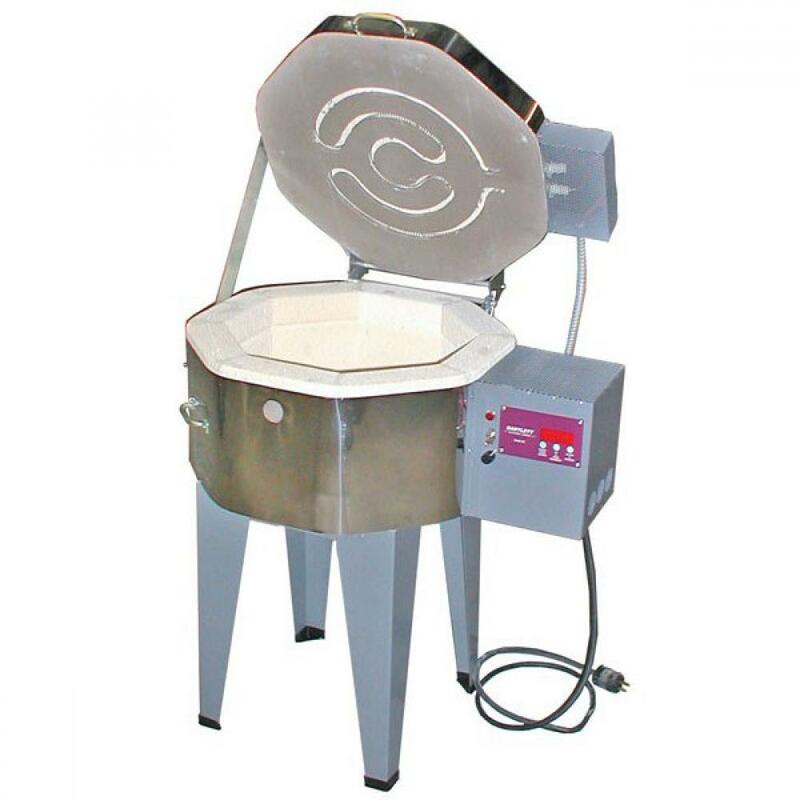 The Champ is a winner for fusing and forming of glass shapes, precious metal clay and heat-treating. Model comes with tall stand, peephole plug, lid wedge, instruction manual, and warranty card. Two-year warranty.